It is no secret that one of the best ways to attract quality tenants and raise the overall value of an apartment complex is to invest in its common areas. Tenants love knowing that there are common-use areas that fit their personal lifestyle needs. For example, tenants who prefer to live in a family-oriented area will look for related amenities such as pools, barbecue/picnic areas, or even playgrounds. Easy Maintenance – No need to create a grass cutting schedule, close off the area to re-sod it, and the like. This frees up your maintenance staff and allows them to focus on other important upkeep issues. Safe from Harsh Chemicals – Unlike natural grass, artificial turf will not require the use of chemical pesticides and herbicides. This avoids exposing you and your tenants to harmful chemical fumes, as well as prevents the possibility of chemical run-off to water supplies. Incredible Savings on Water – Given the climate here in Nevada, you definitely want to do your best to conserve water when possible. 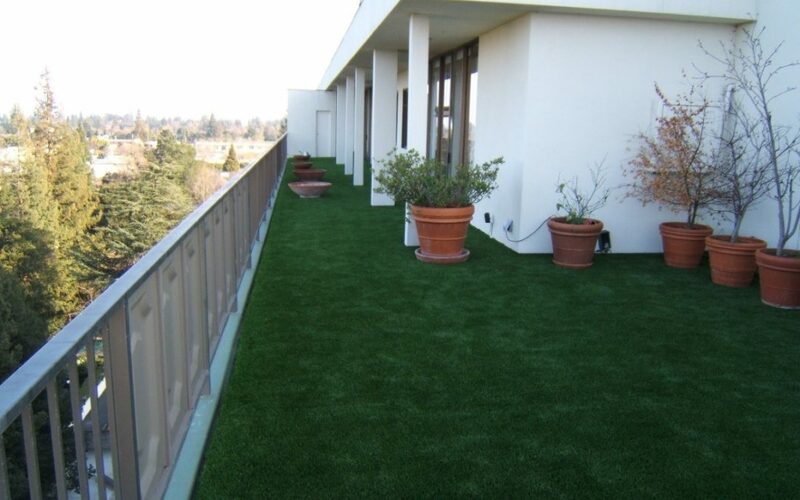 Since artificial turf does not need to be watered like natural grass, your building can easily save thousands of dollars a year. Naturally, the most important question you need to answer is “what are we going to use the area for?” A swimming area surrounded by artificial turf will have different needs from a multi-purpose field. Determining how the area will be used will make it easier for you and your chosen installation service to plan out the landscape and installation process. You’ll also want to assess how many common areas you’ll want as compared to how much space you actually have. If space is limited, you’ll need to choose a design that serves multiple purposes so your tenants are able to maximize the space. For example, a pool and picnic area would be a great way to generate extra income for the complex by renting it out for private events, as well as a good way to host complex parties and foster a sense of community with all tenants. Many respected landscaping companies will offer artificial turf installation services. However, you definitely want to make sure that you choose a company, such as Las Vegas Artificial Grass Pros, that has a good track record of accomplishing projects that are similar to the one you have in mind. Artificial turf installation requires a keen attention to detail due to various drainage and other installation challenges. Similarly, working with a trusted installation company can help you avoid other headaches like difficult soil, problematic drainage systems, and the like. Take the time to check out previously accomplished projects when gauging whether a particular artificial turf installation company is the right one for you. This a marketing website for our local dealers. Please Call For Assistance.